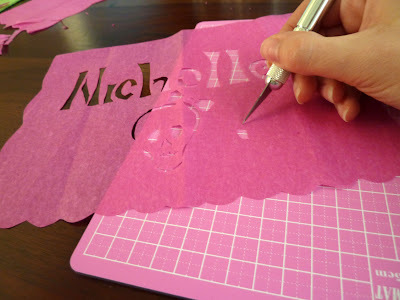 Since I was a young girl, I've had a fascination with the art of paper cutting. 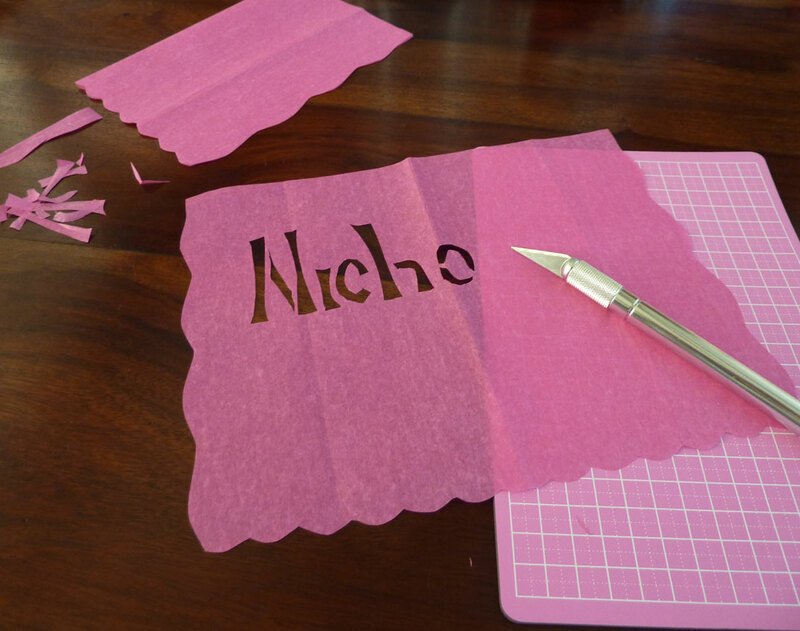 I've spent countless hours folding up different types of papers and snipping away with the sharpest scissors I could get my hands on (and ruining many expensive scissors in the process...Sorry Mom!!!). 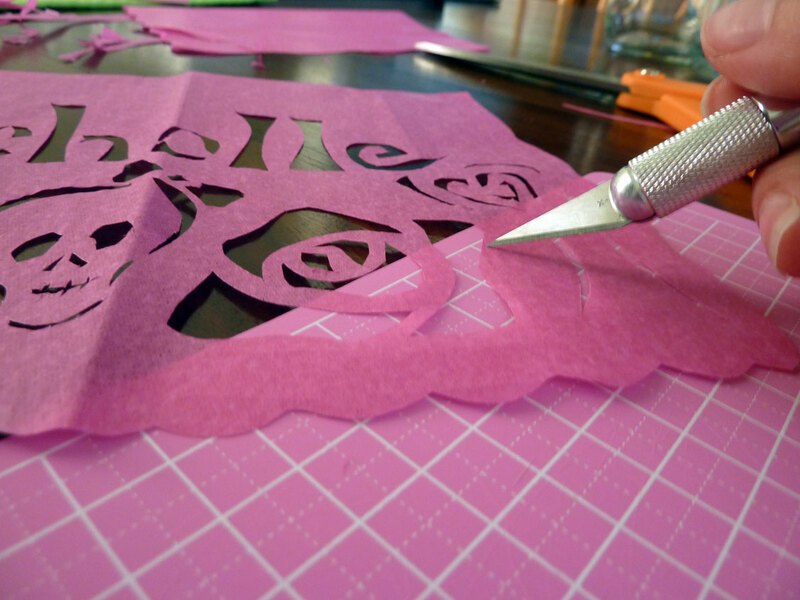 When I discovered Papel Picado (The Mexican Folk Art of punching/perforating paper) I knew my world would never be the same! I was mesmorized by the sight of the most intricate designs cut from delicate and colorful tissue paper...hanging in rows and flapping in the wind... The sight still takes my breath away! 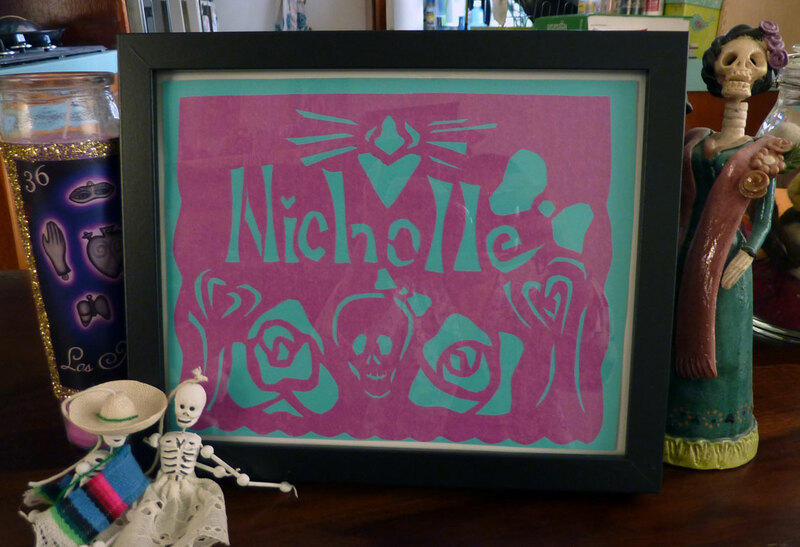 This powerful curiosity and reverence of papel picado has inspired my experimentation, over the past few years to create my own. Armed with scissors, an exacto knife, store bought gift tissue paper, and a cutting mat, I've created banners for Dia De Los Muertos altars and single panels as wedding gifts for friends of friends. Most recently I created a single panel as a birthday gift for my friend Nicholle. I've photo-documented a few steps of the process...in case anyone feels inspired to do the same! First I started with a rectangular panel of tissue paper. I cut a simple scalloped edge around the outside w/scissors. I started cutting out Nicholle's name (with and a super sharp exacto-knife) and then a design developed above and below her name. I held my breath with every cut....If I had made a mistake I would have had to start all over...Yikes! The finished piece, framed with colored paper behind to add contrast.